I spotted a great little post on the Gruntz forum where the rules are being used for a WWI game posted by Madottsel. 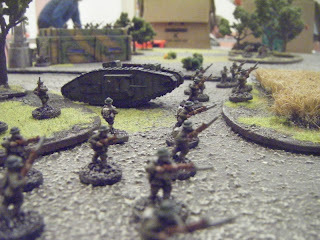 He has run a WWI game using the Gruntz rules and shared some photos of the game. I have for a while now considered building a simple set of modifications to cover using the rules with early tanks. 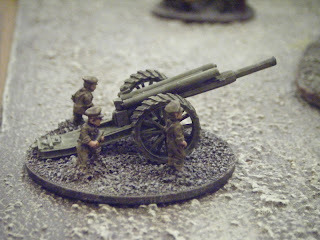 This would include modz to model things like tanks getting bogged down in rough train, paper thin armour and other slow-speed issues. I think it will require a careful balance of not making the early technology too unreliable because the game still needs to be fun, but at the same time some balance needs to be put in place, especially where players might want to field early technology versus martians with shiny new grav tech etc. You can view the post on the forum here with Photos by Madottsel.